As true pioneers, in 1947 a number of fishermen from Reunion Island embarked upon an incredibly perilous mission into the icy southern seas near the unexplored territories of Antarctica. They returned with a rare species: a small red lobster, also known as the Rock Lobster or Spiny Lobster. SAPMER was founded on the exploits of these enthusiasts and today, nothing stands in their way. SAPMER represents a substantial wealth of human involvement with its 1029 sea-loving employees. Each one focused on offering natural and freshly frozen fish products to consumers through sustainable and environment-friendly fishing. 15 SAPMER’s fishing vessels brave the Indian Ocean (for Ahi tuna and Bonito) and The French Southern and Antarctic Lands (for Rock Lobster and Patagonian Toothfish). SAPMER owns 9 tuna seiners, 4 longliners and one pot lobster vessel. 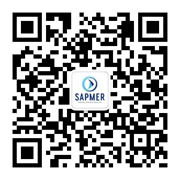 SAPMER, publicly traded since 2009, is experiencing steady growth, with a turnover of 129.5 million Euros for 2016. SAPMER operates in 30 countries across five continents. Much to the delight of Ahi tuna, Skipjack, Rock Lobster and Patagonian Toothfish lovers, its seafood products are available in supermarkets and many restaurants. Its products are recognized for their exceptional quality and taste. To preserve the quality of the fish caught by the freezer vessels which are thereafter processed in the SAPMER’s valorization plant, we rely on a network of very low temperature cold-storage rooms across the five continents (all in compliance with the highest sanitary standards). This proximity is crucial and allows us to deliver a “fresher than fresh” quality fish to each restaurateur and supermarket.